The world’s most ubiquitous navigation technology, GPS – or Global Positioning System – is vulnerable to hacking. This exposes potentially dangerous security risks in critical systems, from air traffic control to satellite communications. University of Toronto professor Amr Helmy of the department of electrical and computer engineering in the Faculty of Applied Science & Engineering is working to harness cutting-edge approaches in quantum sensing to reduce our current reliance on GPS and introduce a more secure, accurate approach to mapping and navigation. He recently received funding from the Government of Canada, as part of its Innovation for Defence Excellence and Security (IDEaS) program, to upgrade today’s fiber-optic gyroscopes — a device that is used to detect the deviation of an object from its desired orientation — into scalable, portable, lightweight quantum-enhanced navigation instruments that can be deployed in aircrafts, ships, land vehicles and on personnel. Quantum sensors have capabilities that extend beyond the reach of conventional systems of measurement: they rely on the “squeezing effect,” whereby photons have the uncertainty inherent to their attributes minimized, to precisely measure the position of a location. Quantum sensing also provides a solution to security breaches. Unlike GPS platforms, quantum-enhanced navigation instruments do not rely on satellites to work,which makes them less vulnerable to hacking or spoofing. GPS hacking and spoofing – when a location falsely masquerades as something else – have made headlines around the world in recent years, from researchers successfully hacking a yacht’s navigation to bring it off its programmed course, to the discovery of dozens of Russian ships whose GPS signals indicated they were on land when they were in fact out to sea. “As such, there is an urgency to develop and understand the defence capabilities of these rapidly evolving quantum technologies,” says Helmy. In 2015, Helmy was awarded a Connaught Global Challenge Award to lead research that could break open communication encryption while ensuring the security, privacy and confidentiality of legitimate communications. 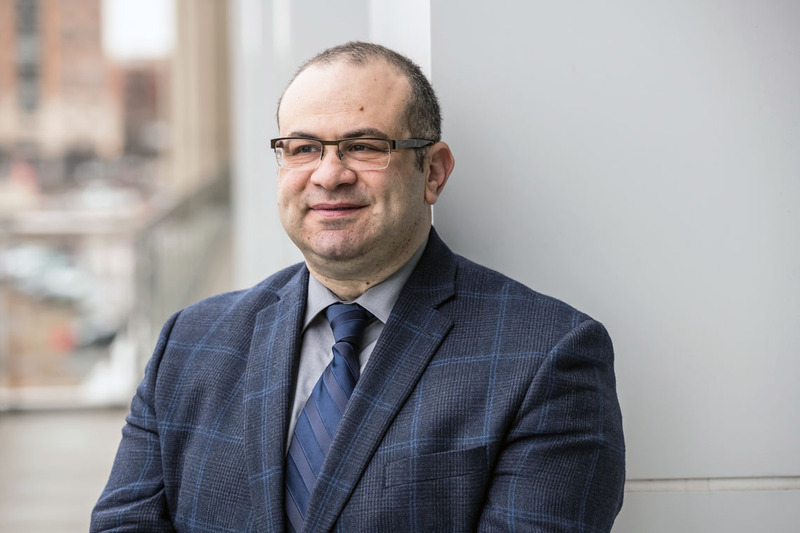 “Professor Helmy’s work represents an exciting step forward for quantum sensing and the application of this exciting technology” says Derek Newton, U of T's assistant vice-president, innovation, partnerships and entrepreneurship. U of T Engineering is at the forefront of quantum research applications, says Helmy.